Old Guitarist Poster – If you are a fan of great art and great music, then this poster is just for you. 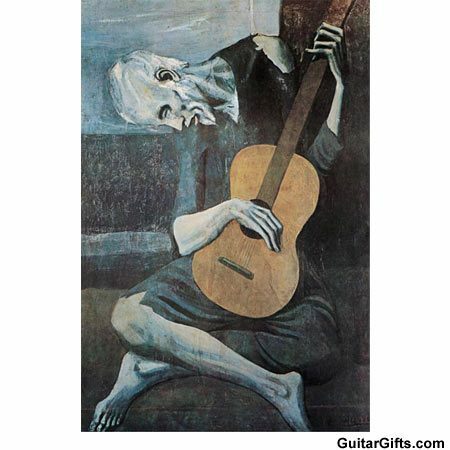 Decorate your home or office with this Picasso print from his Blue Period called, “The Old Guitarist”. It depicts an old man sitting on the ground playing his acoustic guitar. This poster will make a great gift for any musician or collector of art. If you can’t buy the real painting, then get this poster! Approx. 24.0″ x 36.0″. *Please note: This is a non-returnable item Shipping to Contiguous USA only. Cool Guitarist Posters at DRUM BUM!